January 31, 2019 – On the 16th January 2019, The Mint of Finland released a statement which took many coin collectors and those working in the Mint industry by surprise. They announced that the Finnish Ministry of Finance has launched a public call for tenders for the supply of Finnish euro circulation quality coins, including the minting of commemorative two euro coins. This notice was in keeping with directives as stipulated by EU legislature. In Finland, as in many countries, it is in fact the Ministry of Finance who co-ordinate supplies of circulation coin with the Treasury, and in the case of a EURO-zone member state, the European Central Bank. Finland’s Finance Ministry are the competent authority for the procurement of coins who would commission the Mint of Finland to fulfil these orders of coins that are transferred to the Treasury or Central Banks who then issue or release the coins into circulation as warranted. As a result of the latest EU Procurement Directives which have come into force in Finland since 2017, the result is that the Ministry of Finance must tender out the production of circulation coins to a successful bidder who meets all stipulated requisites. EU member states must adhere to public procurement procedures that are carried out in accordance with national procurement legislation and the procurement directives of the European Union. The main purpose of procurement regulation is to increase the efficiency of the use of public funds and to enhance the competitiveness of European businesses – including Finnish undertakings. As a result, it may be possible for Finnish Euro circulation coins to be produced from any other Mint situated within the EU who operate under the governance of a privately run company. The Mint of Finland has manufactured all Finnish euro coins as ordered by the Ministry of Finance until the end of 2018 and it this supply contract between the Ministry of Finance and Mint of Finland which expired on the 31st December 2018. The original premises of the Mint of Finland located at Kanavakatu 4 in Central Helsinki. The building’s construction began in 1864 and remained the Mint’s headquarters until 1988. The 159 year old Mint was founded by Imperial edict in 1860 by Alexander II of Russia during the era when Finland was a Grand Duchy within the Russian Empire. The first coins for use in Finland were struck in 1864, with copper, silver and gold coins eventually being produced at the facility. After independence in 1917, the minting of coins continued under the directives of the Finnish Ministry of Finance and the Central Bank. In 1951, The Mint of Finland produced the world’s first-ever commemorative coin to mark the Summer Olympic Games which were hosted in Helsinki in 1952. This coin would also launch the Mint of Finland’s popular commemorative coin programme internationally known for their innovative and abstract designs. A new production facility was opened in the city of Vantaa in 1988 which is part of the Finnish Capital Region. By 1993, the Mint of Finland was incorporated into a limited liability Company, a structure which continues presently. From 1998, the Mint of Finland produced circulation euro coins for Greece, Luxembourg, and Ireland in the run-up to the launch of the single currency from the 1st January 2002. The Mint would later produce coins for later euro-zone member states such as Estonia, Slovenia and Cyprus in addition to their own Euro coins. The Mint of Finland purchased the Swedish Myntverket in 2008 as well as owning half of the shares of the former Royal Norwegian Mint. In the statement issued by the Mint of Finland, they reiterated that as one of the few entirely market-driven mints, their business structure is ready for the new era. They further added that the company is actively seeking new business opportunities both in domestic and international markets. Since over 95% of the company’s revenue is generated already from exports, the Mint of Finland has clearly established its position as a leading exporter of circulation coins. 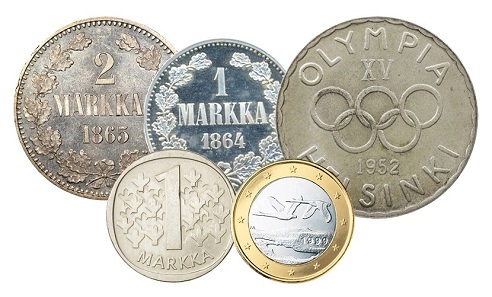 Currently, the Mint of Finland export coins to 40 countries on four continents. The estimated date of the actual call for tender is the 30th August 2019 when the Finnish Finance Ministry will make their announcements and appointments for the production of 2019-dated Euro coins. The Mint of Finland have posted on their website that they are ready to answer to consumer’s questions regarding their operations through their customer chat service. Questions related to the procurement are advised to be directed to the Finnish Finance Ministry. As a result of the change in procurement, collectors are offered no information for additional collector’s gold and silver coins for 2019 which for many will prove to be a disappointment. The Mint of Finland have proven to be one of the more prolific producers of gold and silver as well as many base metal collector coins especially since the introduction of the EURO in 2002. Collectors may continue to purchase previously minted commemorative, proof, BU and collector’s coins as usual by visiting their on-line e-webshop.